The domestic unit had closed at 69.23, down 6 paise on Friday, owing to increasing demand for the greenback from importers. The rupee slipped by 10 paise to 69.33 against the US dollar in the opening deals on Monday. The domestic unit had closed at 69.23, down 6 paise on Friday, owing to increasing demand for the greenback from importers. During the week, the rupee lost 9 paise. It was the second consecutive week of loss for the local currency. This week, on the domestic front, inflation and industrial production number will be released and that could trigger a move for the currency, says Gaurang Somaiya, Research Analyst (Currency) at Motilal Oswal Financial Services. "Today, USD/INR pair is expected to open at 69.60 (Apr) and quote in the range of 69.20 and 69.80," Somaiya added. 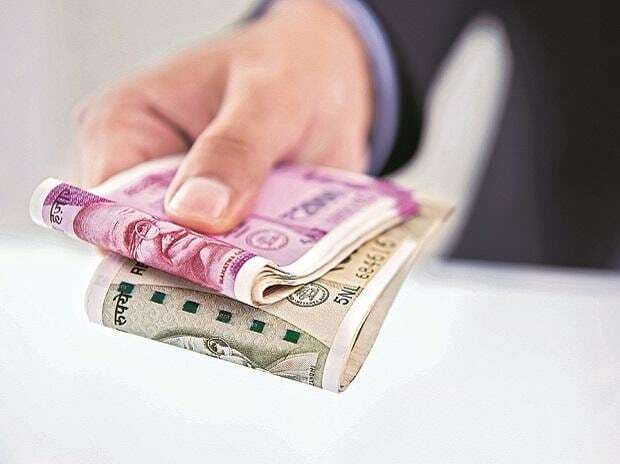 In the equity market, overseas investors have pumped in a net sum of Rs 8,634 crore into the Indian capital markets in the first five trading sessions of April, mainly due to positive market sentiment. However, for the 2018-19 fiscal, they were net sellers to the tune of Rs 44,500 crore. On the global front, Asian shares inched up to seven-month highs on Monday as investors cheered a rebound in US payrolls and hints of more stimulus in China. Chinese blue chips climbed 1.4 per cent while MSCI’s broadest index of Asia-Pacific shares outside Japan followed by gaining 0.4 per cent to its highest since August, Reuters reported.